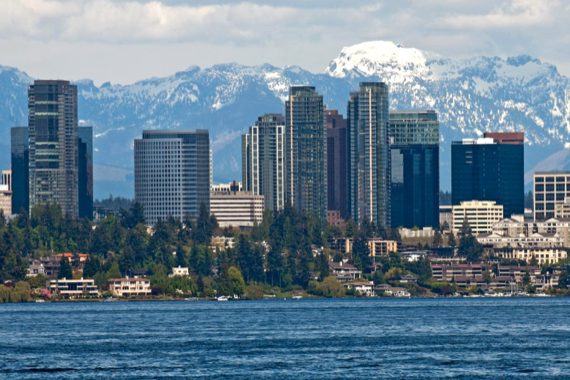 Located mid-way between Seattle and Tacoma, Federal Way's growth was driven by residential and retail expansion, as workers from larger cities sought a convenient location to call home. Today visitors from all over come to Federal Way for a diverse set of attractions: the region's largest amusement park, the Pacific Bonsai Museum, and gorgeous parks and gardens. Currently the majority of Federal Way's population works outside of the city limits, and the local government is taking steps to change that fact. A Town Center Redevelopment project aims to create a new economic hub with strategic Transit Oriented Development, and the City is actively calling for development proposals for a variety of new projects. The City of Federal Way has undertaken an ambitious plan to create a true downtown and attract new development, residents, and visitors. A performing arts center, four-acre park, and mixed-use development with restaurants, retail, and art galleries and studios are in the works. The City has also requested proposals from developers for parcels adjacent to the project, and plans to approve further hotel and mixed-use development that aligns with the Town Center vision. A centerpiece of the City's Town Center Redevelopment, the new $33 million Performing Arts Center creates a cultural magnet in Federal Way. The Center has a 716-seat auditorium with full performance stage and 6,000 SF of additional event space. Visitors enjoy onsite concessions and catering and a soaring lobby with views of Mt. Rainier. 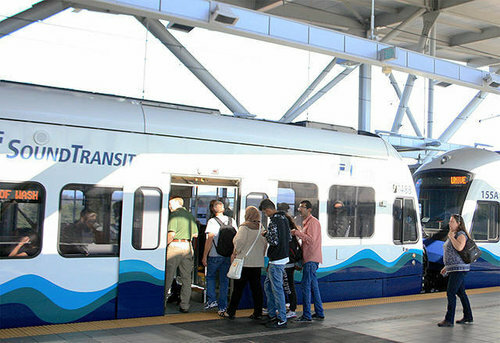 Sound Transit has budgeted $1.5 billion to extend Light Rail service from SeaTac to Federal Way. As part of the project, the Federal Way Transit Center will get a brand-new train station, as well as bus and parking improvements. Construction will begin in early 2019 and is expected to finish in 2024. 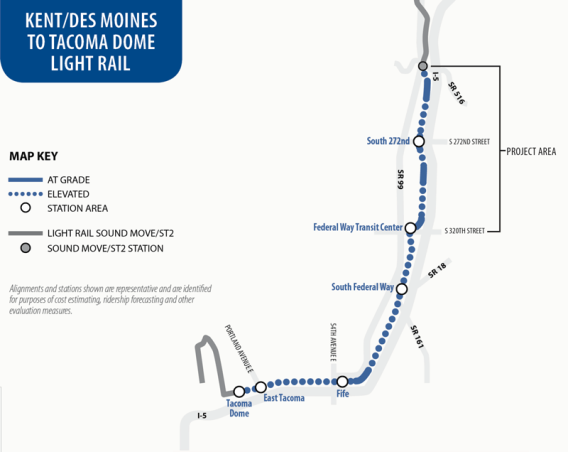 Once complete, Federal Way commuters will enjoy quick and easy rides to SeaTac airport, downtown Seattle, and the Eastside. 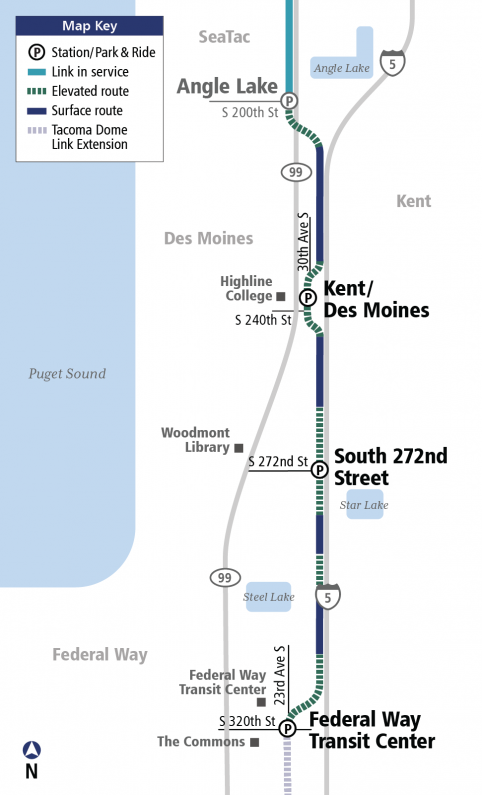 Other phases of the ST3 plan will expand the service north as well, meaning that Federal Way riders will be able to travel all the way to Everett. Completion is projected for 2030.